Red Flag presented an electric-car concept called the E-Jing GT at the Beijing auto show in April. BEIJING -- China's iconic Red Flag brand, a favorite of former revolutionary leader Mao Zedong, will launch a self-driving vehicle. Chinese tech giant Baidu said on Thursday it will launch a fully autonomous passenger car next year in a partnership with Hongqi, or Red Flag, a brand used by China's political elite. Hongqi, owned by automaker China FAW Group, is widely regarded as a symbol of China's early communist revolutionary elite, including Mao and Deng Xiaoping, who used the luxury sedan in the 1960s and 1970s. 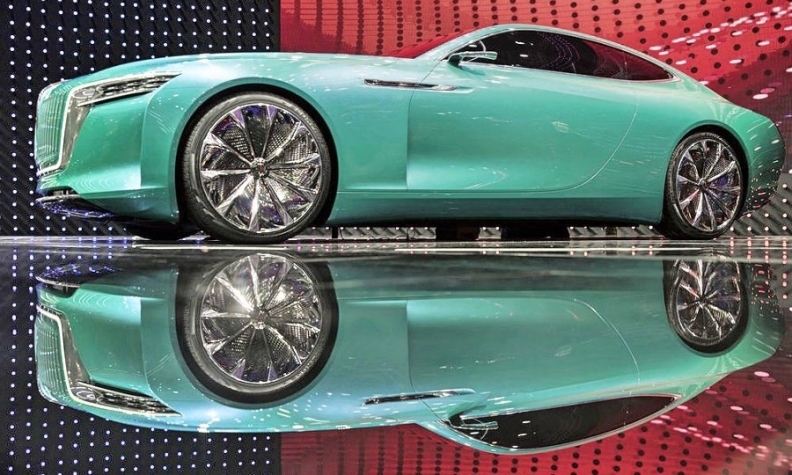 Baidu, often seen as China's equivalent to Alphabet’s Google, will produce a limited number of fully automated level four Hongqi vehicles in 2019 for a pilot operation, before wider release in 2020, Baidu CEO Robin Li and FAW Chairman Xu Liuping said at an event held to announce the plan. Baidu has previously unveiled fully autonomous buses and trucks, but the Hongqi car marks a major push into self-driving vehicles for public use. The car it showed off on Thursday was white SUV with a large sensor on its roof. The tech firm is leading the charge in China's effort to build autonomous cars with strong backing from the Chinese government, which named Baidu - whose main business is internet search - as one of four national champions in artificial intelligence (AI). The company is also working with several of China's largest cities, including Beijing and Shanghai, to develop autonomous driving infrastructure and public smart transport technology. Baidu's announcement comes as Google's autonomous driving project Waymo is set to begin testing fully autonomous cars on California's roads after earlier trials in other parts of the United States. Baidu has also reached an agreement to develop self-driving electric vehicles with Chinese-owned Volvo Cars and announced a tie-up with Ford on Wednesday to test self-driving vehicles on Chinese roads. China's industry ministry has unveiled plans to become a world leader in several AI technologies, including autonomous driving, in the next decade. The Hongqi marque has undergone several revamps over the decades, falling out of favor for a period in the 1980s, but more recently being revived amid a national push to promote Chinese brands. In April at the Beijing auto show, Red Flag presented a two-door electric-car concept called E-Jing GT.